Alonzo maintains Braker Pointe 1 & 2 and the Braker Pointe Association. 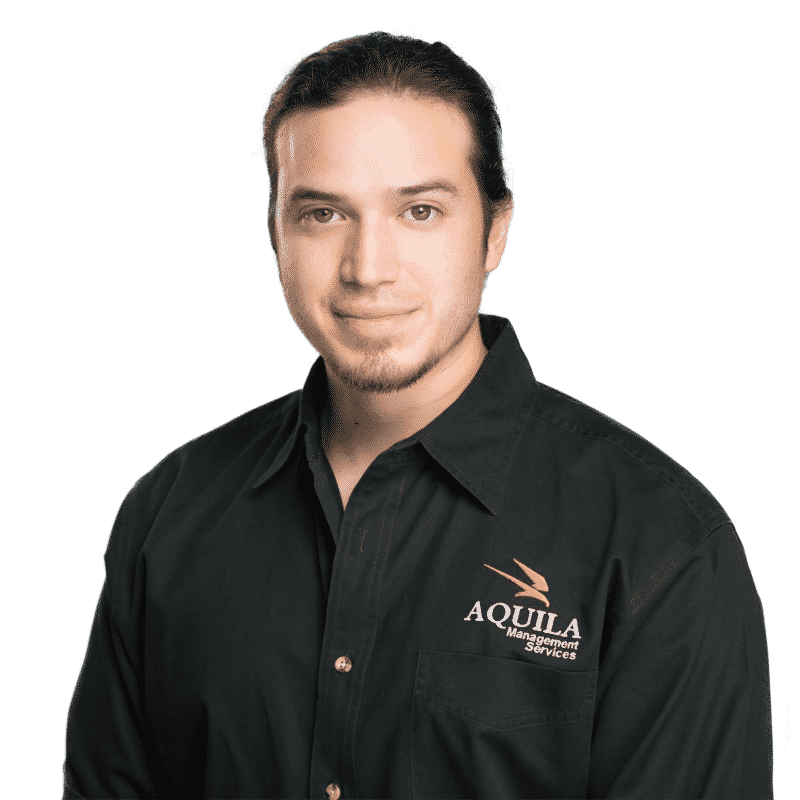 Prior to joining the AQUILA team, Alonzo spent six years in the Fire/Life Safety industry where he established and developed a new sprinkler division to expand business resulting in a $1.5 million increase in gross annual revenue. In his spare time, Alonzo can be found playing music, spending time outdoors, eating Mexican food, or at Kenpo Karate where he holds a second degree black belt.